DUKE 10, Jacksonville 6 – Duke University senior Sam Spillane registered a career-high three goals to lead the seventh-ranked Blue Devils to a 10-6 victory at Jacksonville in the regular season finale. Sophomore goaltender Dan Wigrizer anchored the defense with 14 saves. The six goals are the second fewest Duke has allowed this season. Duke closes out the regular season with a 12-5 overall record, marking the sixth consecutive season the Blue Devils have garnered at least 12 victories. Duke now will await word on a berth in the NCAA Tournament with the bracket announcement set for May 8. VIRGINIA 11, Penn 2 – Steele Stanwick matched his career high with five assists to lead the No. 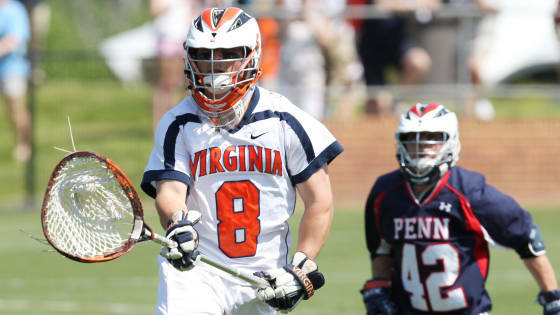 11 Virginia Cavaliers (9-5) to a Senior Day win over the No. 13 Penn Quakers (8-5) on Saturday afternoon, 11-2, inside Klöckner Stadium. With the win, Virginia head coach Dom Starsia now owns 325 career victories, needing two more triumphs to pass Jack Emmer (326) for most victories by a head coach while at a NCAA Division I school.